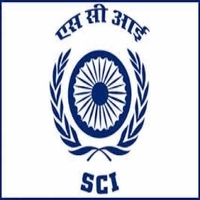 SCI Recruitment 2018: Shipping Corporation of India Recruitment 2018 has been released to fill the 50 Machinist Mechanical, Trainee Machinist Mechanical, Deck Fitter, and Trainee Deck Fitter vacant posts. Candidates who are willing to do contract job need to check the official website of the Shipping Corporation of India (SCI), Mumbai that is www.shipindia.com. The authority people of SCI is organizing SCI Walkin Interview on 30th August 2018 at 10:30 AM for the interested candidates. The detailed information on SCI Recruitment 2018 latest job notification has been given below. The other details like SCI education qualification, age limit, shipindia.com selection process, Shipping Corporation of India application fee & how to apply, relevant links, are given Below on freshersnow.com. 1.6 How To Apply For Shipping Corporation of India Recruitment 2018? Candidates should note that the preference will be given to the candidates who have worked and sailed on vessels having more than 500 GRT for a maximum period as Machinist Mechanical & Deck Fitter. All eligible and capable applicants may attend Walkin on the scheduled date. Do not miss this excellent career opportunity in SCI Recruitment 2018. Aspirants stay tuned to this page for upcoming updates in Shipping Corporation of India Trainee jobs 2018. For more accurate information on this Shipping Corporation of India job notification, check the official website www.shipindia.com. Candidate should possess Diploma in Mechanical Engineering from recognized polytechnic or National Trade Certificate in the trade of Machinist Mechanical or Marine Machinist Mechanical or Diesel or Motor Mechanic or Machinist or Welder issued by National Council of Training in Vocational Trade, Ministry of Labour, Government of India (NCTVT) or by the Industrial Training Institute of State Government ( ITI ) or equivalent from a recognized Institute. Lathe, drill, and machine operation. Fabrication and proficiency in fitting. Candidate should have Indian CDC & Passport, which should be valid for at least One year from date of selection. Must have PAN Card & INDOS NO. A candidate may be in possession of Security Training for Seafarers with Designated Security Duties ( STSDSD ) from DG approved Institute. Job aspirants must be in possession of 4 mandatory certificates as per STCW 2010 from DG approved Institutes. Fire Prevention & Fire Fighting. Aspirants may be in possession of Helicopter Underwater Escape Training course. The candidate should have a valid Police Clearance Certificate (PCC) from his native place issued by an officer. Job seekers should have a maximum age limit of 45 years for General candidates, OBC – 48 years, and for SC, ST – 50 years. The age limit of candidate is 30 Years for Tr. Fitters (TR.MMs & Tr. POMs) for General candidates, OBC – 33 Years and 35 Years for SC, ST Candidates. How To Apply For Shipping Corporation of India Recruitment 2018? Search for 50 Trainee Deck Fitter, Machinist Mechanical official notification link in the careers page. After, download and view the SCI official notification 2018 in that page itself. Check and verify your eligibility criteria to Shipping Corporation of India Recruitment 2018. It suits you, take a print out the Shipping Corporation of India Recruitment 2018 application form.